This innovative wearable has a minimalistic, button-free design, but is fully compatible with any Android, Windows, or iOS smartphone. Next to a few Windows and Android smartphones, Acer also has a new smart wearable on display at MWC 2015 in Barcelona, namely the Liquid Leap+. Described to be "more than just a smart wearable" but "a fashion accessory," this device is a stylish activity tracker with a minimalistic design similar to its predecessor. Liquid Leap+ works with all major mobile platforms - Android, iOS, and Windows. This upgrade to the existing Liquid Leap activity tracker can be used to control music on your smartphone, and it displays notifications for incoming emails, SMS, calls, or calendar events as well. It can also track steps taken, running distance, and calories burned. Acer Liquid Leap+ will hit the EMEA region later this month at roughly $100 USD, so more details should become available soon. 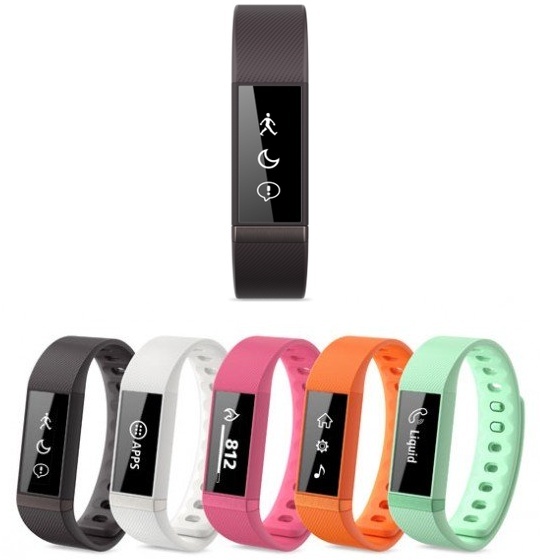 BARCELONA – Acer today announced the next generation of Smart activeband products, the Acer Liquid Leap+. Standing for flexibility, the new wearable now syncs and connects with all main supported operating systems (Windows, Android, iOS) and the 1” OLED touchscreen can be strapped to the wrist-band colour of your current mood. Life is more than the number of steps you take, the Liquid Leap+ is about action, motion, logging and flexibility. By developing Liquid Leap+, Acer had one thing in mind: user flexibility. This innovative wearable convinces with features aimed at keeping track of all aspects of one’s life in a small 1-inch package. There is no question that Liquid Leap+ radiates an understated elegance with its modern, minimalistic, button-free design. But its qualities go well beyond looks, the ultra-slim 1” touch-screen is nestled in a durable exchangeable rubber wristband with a curved surface especially designed to lower body temperature by minimizing skin contact. The Acer Liquid Leap+ is the ideal smart wearable device for active digital users who have both a need and a desire to always be connected. It becomes a fitness companion by tracking the user’s steps, running distance and calories burned. The activeband core module is a 24/7 wearable thanks to its waterproof certification (rated IPX7). Music control functions such as “play”, “pause”, “previous”, and “next song” make it easy to adapt to the tune of your choice, while notifications never let one miss an important email, calendar event or SMS. The wearable technology in Liquid Leap+ talks to Acer Leap Manager app and your Android, Windows, or iOS smartphone via Bluetooth 4.0 low energy. Light-weight and stylish, the Liquid Leap+ comes with a variety of colour-bands: Charcoal Black, Fuchsia Pink and Lime Green.